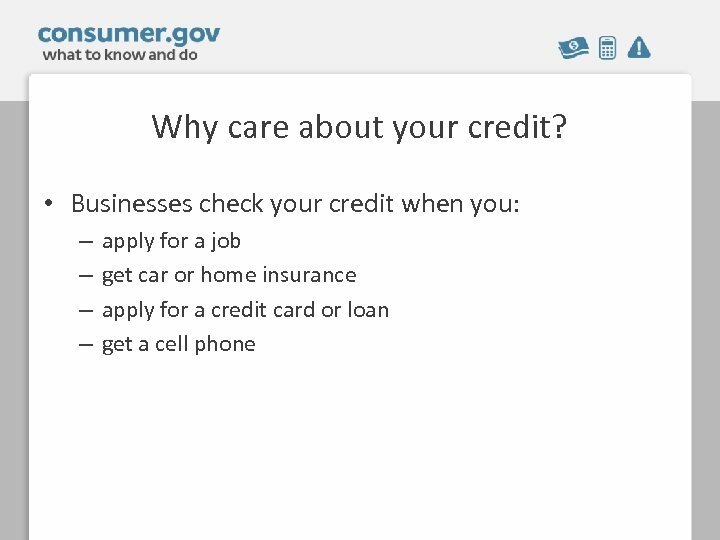 You and your credit • Have you ever had: – – Credit card? Loan? Utilities in your name? Cell phone with a monthly bill? • This helps make up your credit history. 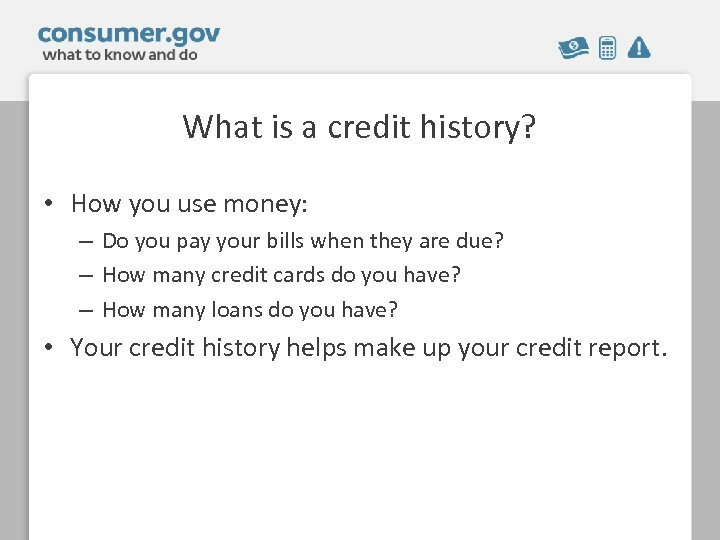 What is a credit history? • How you use money: – Do you pay your bills when they are due? – How many credit cards do you have? – How many loans do you have? 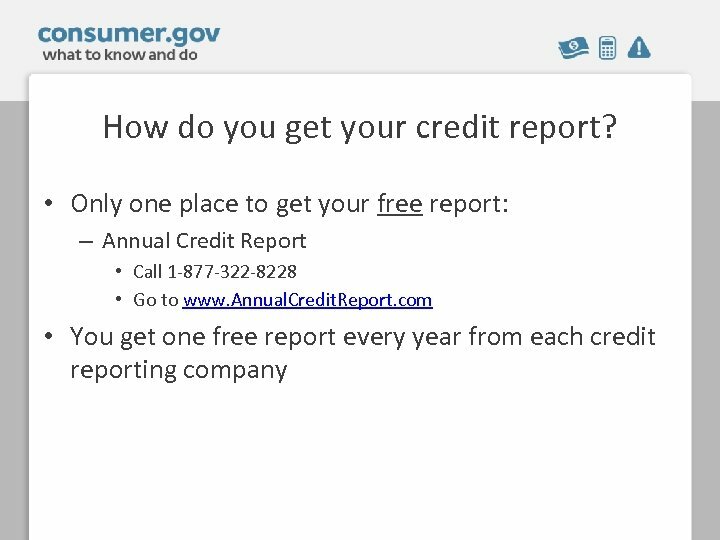 • Your credit history helps make up your credit report. 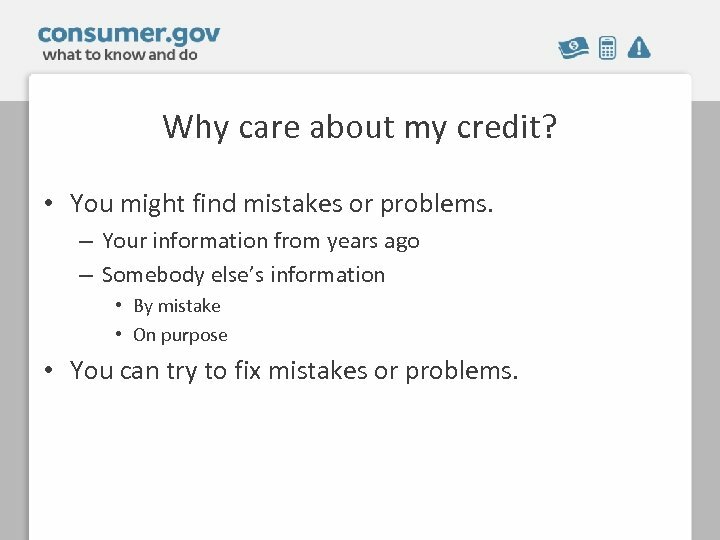 Why care about my credit? • You might find mistakes or problems. – Your information from years ago – Somebody else’s information • By mistake • On purpose • You can try to fix mistakes or problems. You got your report. Now what? • Read it carefully. – – Is it your name and address? Do you recognize the accounts? 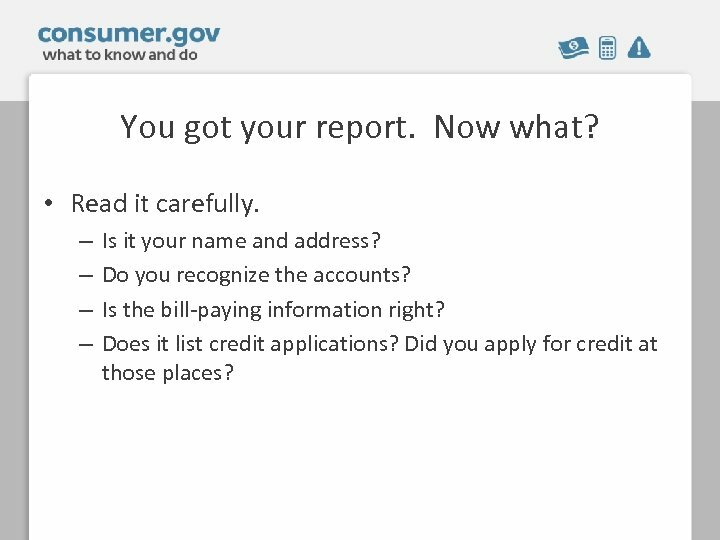 Is the bill-paying information right? 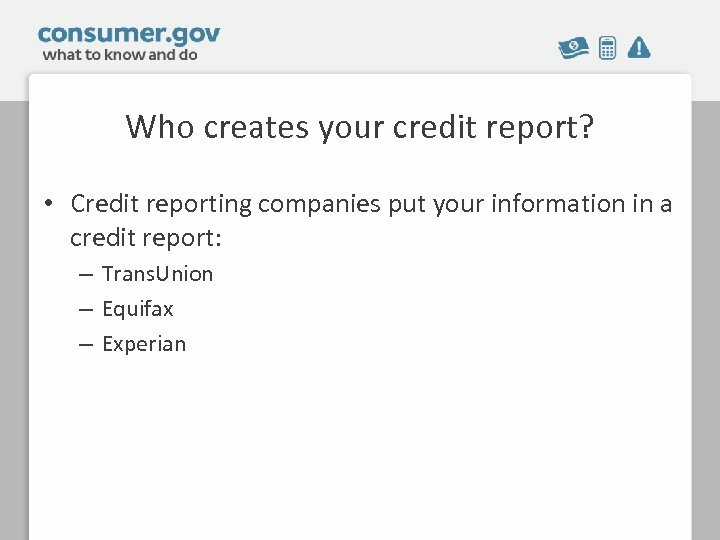 Does it list credit applications? 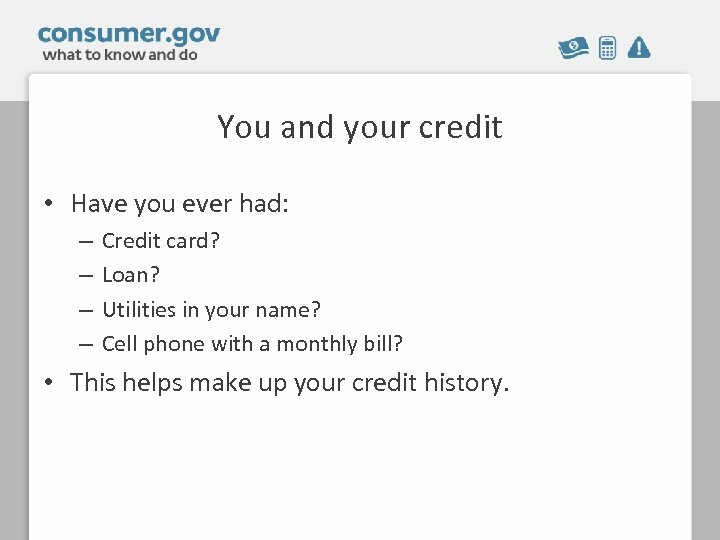 Did you apply for credit at those places? 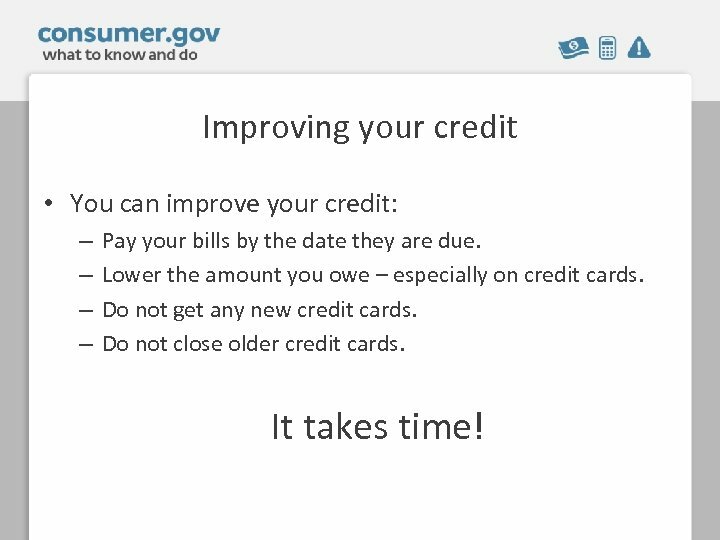 Improving your credit • You can improve your credit: – – Pay your bills by the date they are due. 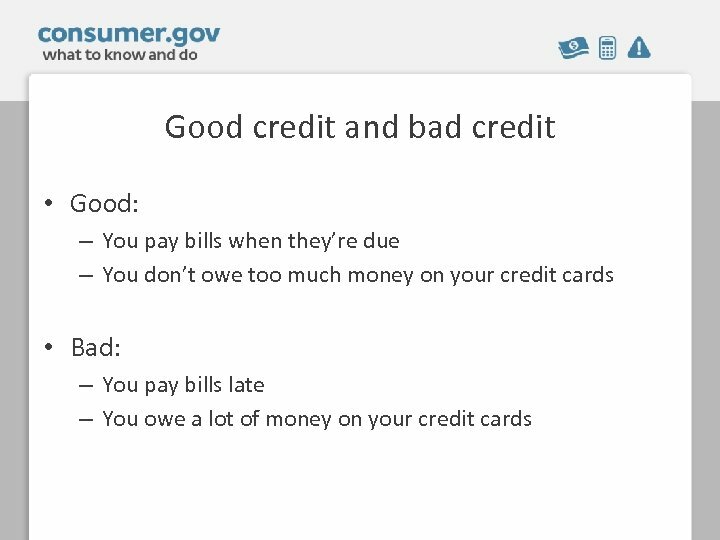 Lower the amount you owe – especially on credit cards. Do not get any new credit cards. Do not close older credit cards. It takes time! 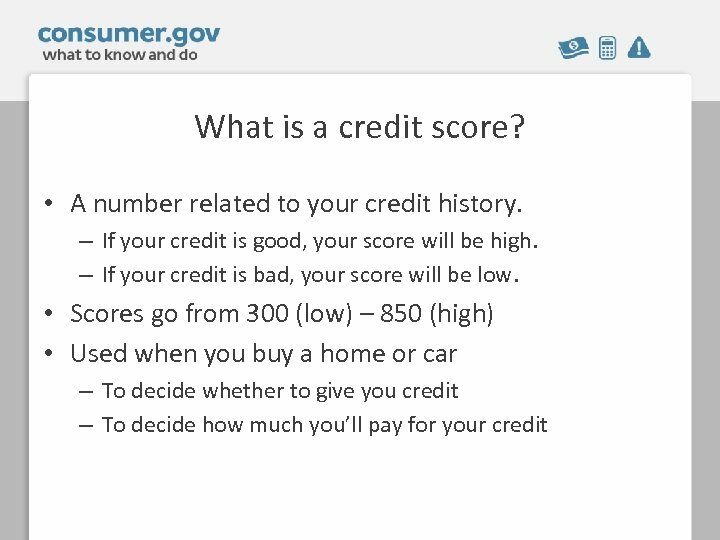 Should you know your credit score? 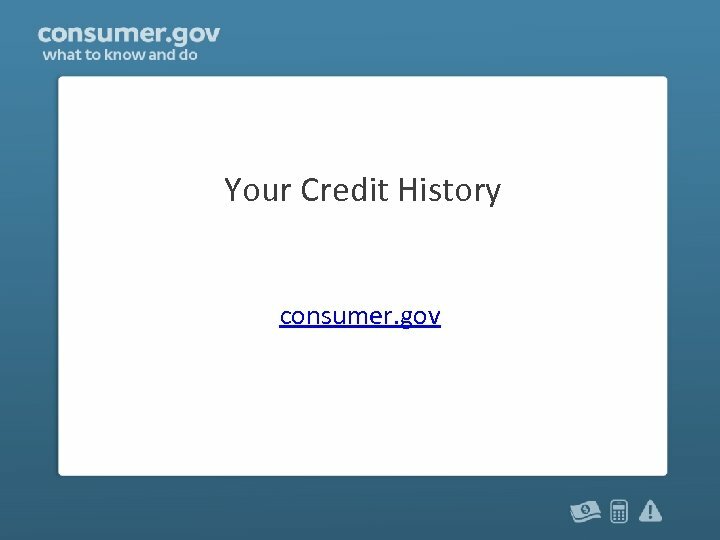 • Your credit history is most important. 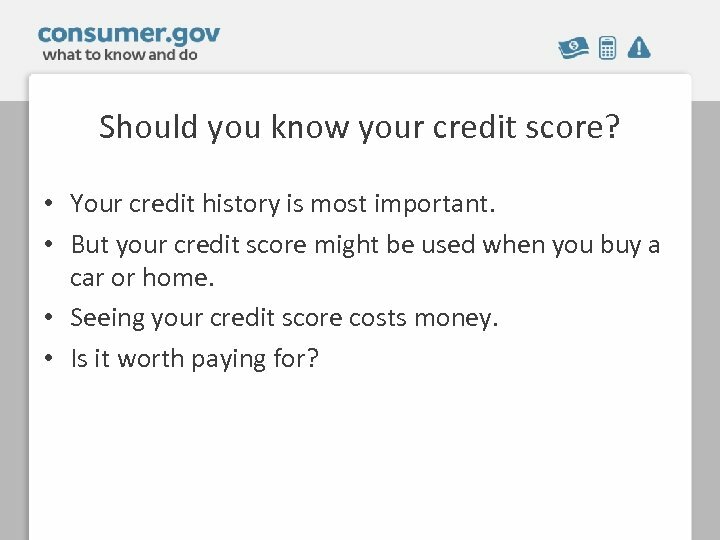 • But your credit score might be used when you buy a car or home. 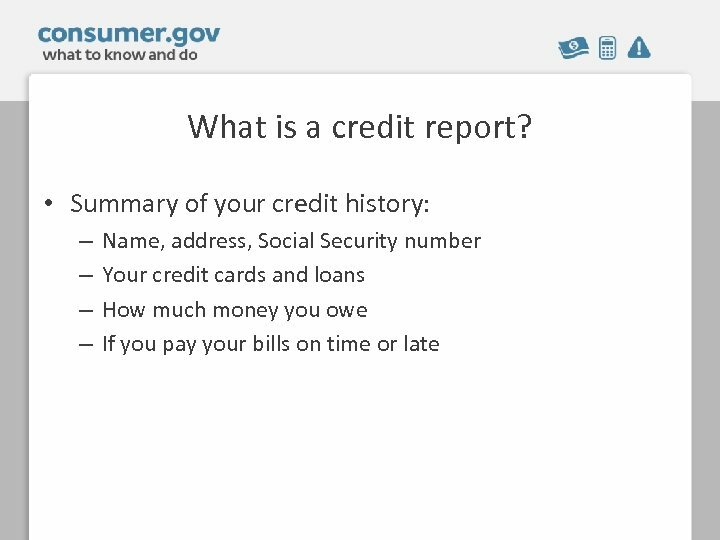 • Seeing your credit score costs money. • Is it worth paying for?